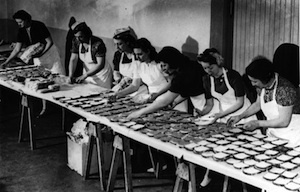 If there's one thing I'm a sucker for, it's scans of vintage cookbooks. Especially when they're celebrity-centered one-offs, and especially when they're from lusty Italian celebrities writing lusty Italian recipes. 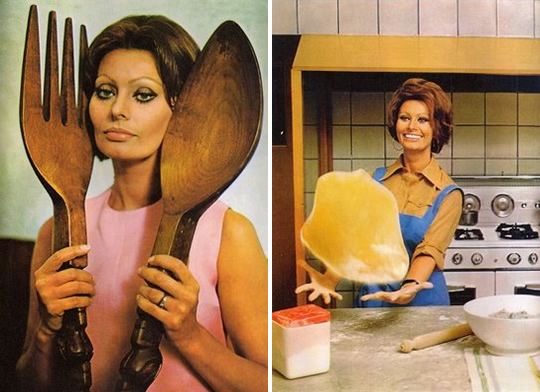 Say hello to Sophia Loren's 1971 masterpiece, In Cucina Con Amore ("In the Kitchen with Love," published in English as Eat With Me). 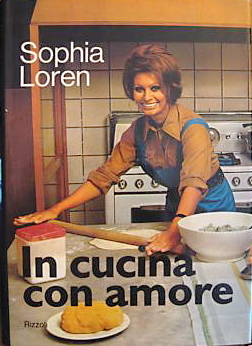 I've got no idea what's in the cookbook (though an original is available on Italian eBay), save that Ms. Loren apparently wrote the recipes and sidenotes herself, from her room on the 18th floor of the Hotel Intercontinental. But I'd bet that it's a solid collection, based entirely on the fact that this is the woman who famously said about her scorchingly hot body, "everything you see, I owe to spaghetti."